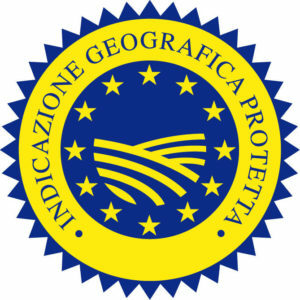 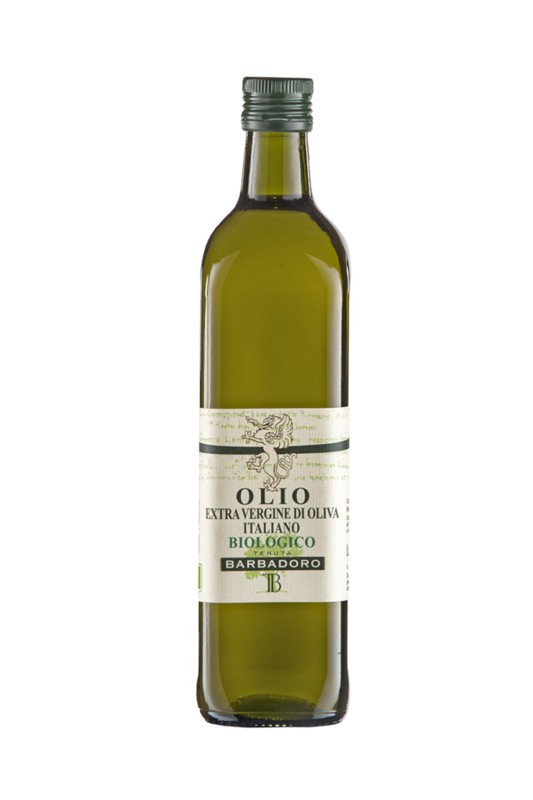 Organic extra virgin olive oil wholly produced, cold extracted from olives of typical Tuscan varieties such as, Moraiolo, Correggiolo, Leccino and Frantoio. 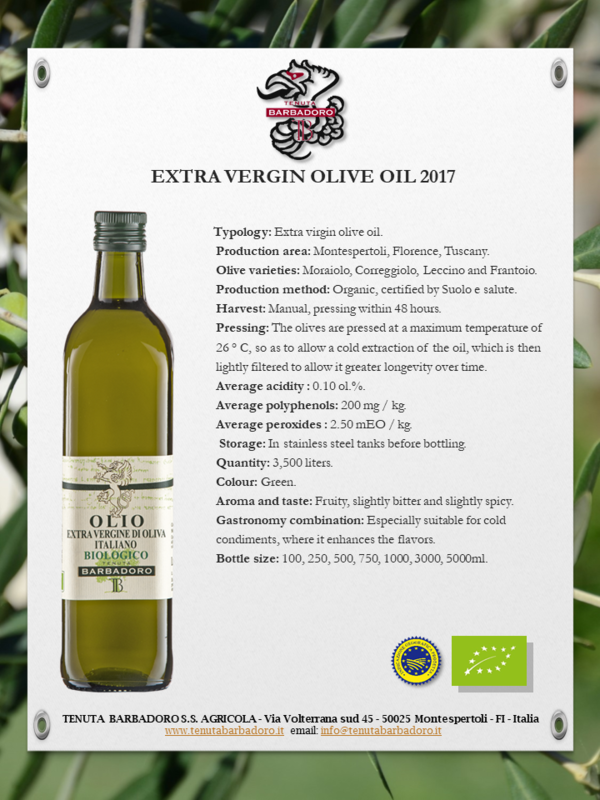 The care in the production process is the short period that passes between the olive harvest and the pressing in the mill, make this oil a product rich in polyphenols and with a very low acidity, particularly suitable for enhancing dishes with cold dressing. 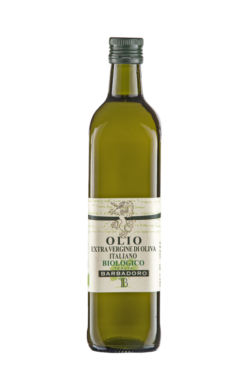 Bottle 100, 250, 500, 750, 1000, 3000, 5000 ml. Since 2007, our production has gained organic certification.